Morning to you all from Barcelona! It’s a beautiful morning, and I decided to rent a bicycle. Just like I did the other day, a nice, peaceful two-hours ride out of Barcelona, final destination still undecided. Bicycle rides on a Saturday morning are a fantastic thing, speciallly in spring. I’m going to put shorts on, a T-shirt, a helmet (it’s a fixie, and I don’t want to die) and see what happens. 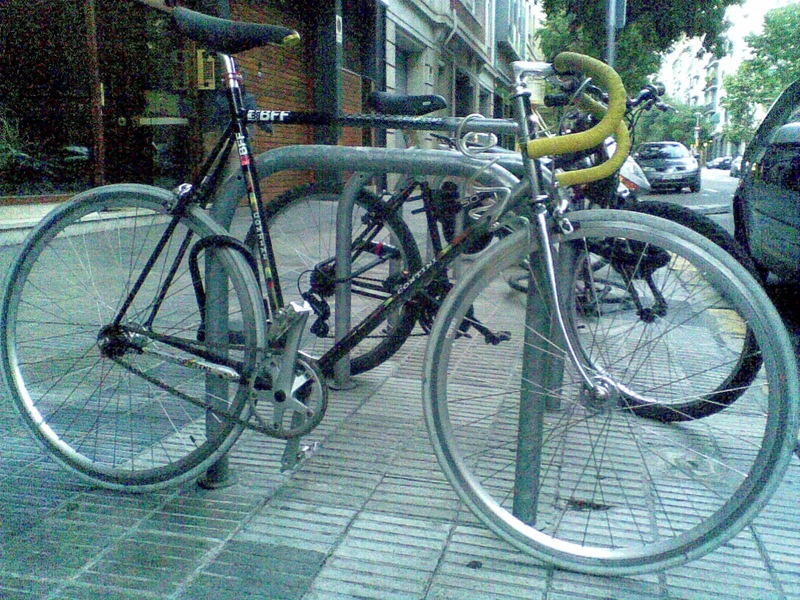 I saw this bicycle coming back from a little “filmoteca” adventure. Filmoteca means ‘film-library’ and it’s an out of fashion theater in the north-east of the city. They play all kind of commercial and non-commercial movies, documentaries and short films. And only for 2 euro! The kind of people who go there on a Friday at 7.30pm (besides myself, a lonely girl) are retired middle-aged men. Sometimes they fall sleep during the movie, and they always have a chat about cinema before the movie starts. I like the filmoteca. Last night’s film was a documentary about the Canadian film director Guy Maddin. It was kind of budget-looking but there were some really good bits. Except I feel like I don’t really want to go see Maddin’s film now, they are extremely odd (film connoisseurs will say he’s a genius, and no doubt he is) and wildly imaginative. Tonight I’ll watch ‘Two for the Road’ by Stanley Donen. Hopefully on my way back I’ll come across a happy bicycle such as the one above. 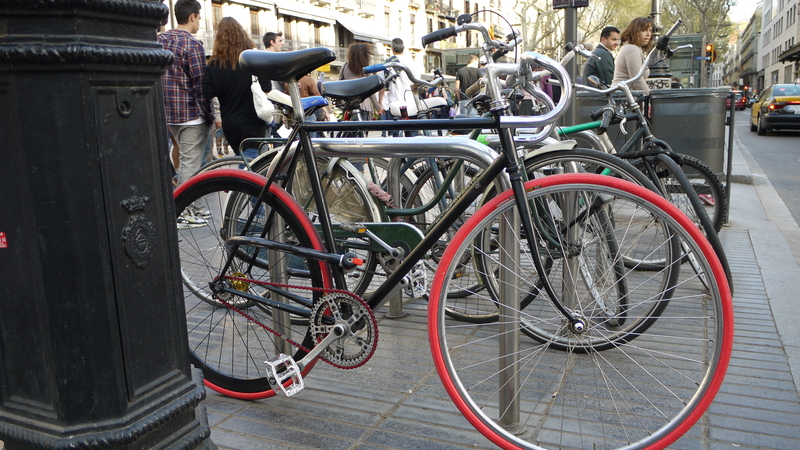 Including stickers of the Bicycle Film Festival.